A well-graded track serves the communications station on Fitful Head. Clearly, it is not open to the public to drive, but it gives an easy walk. 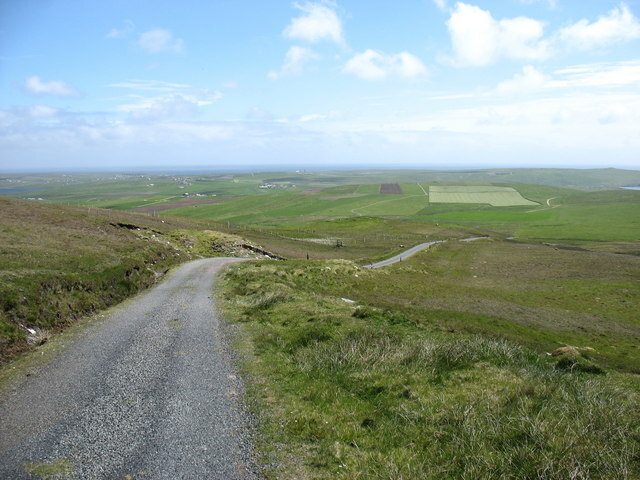 This is looking back downhill towards Quendale.